Victron Phoenix VE.Direct converter 12/24/48 / 500VA. Home > Inverters & Converters>Phoenix VE.Direct 12/24/48 / 500VA. 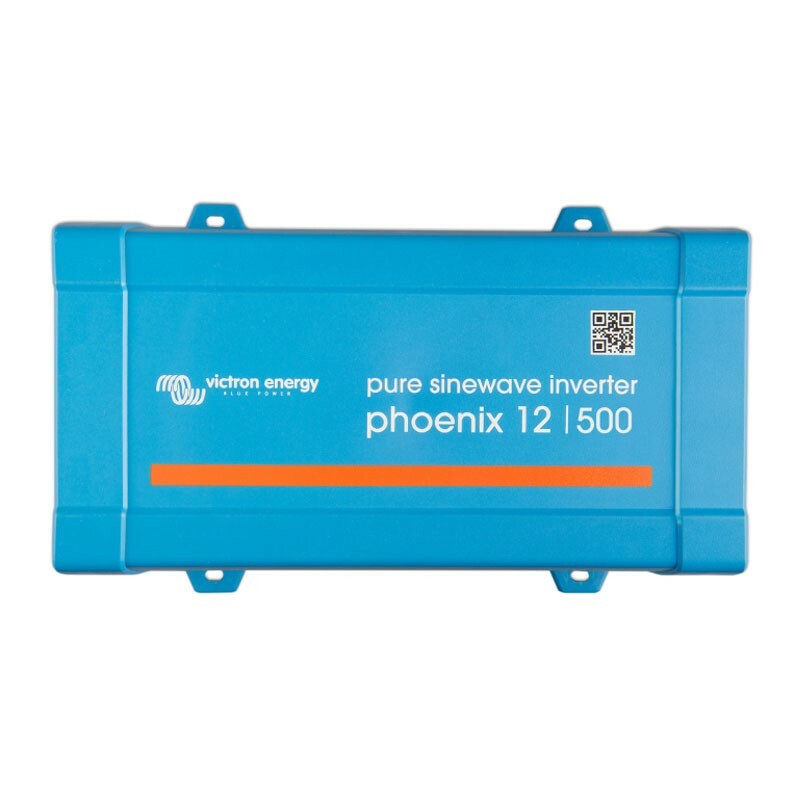 The Phoenix converter provides a high quality energy supply in places where 230V mains voltage is not available. The principle of the converter is simple. The voltage of a 12V, 24V or 48V battery is converted to a stabilized AC voltage of 230V. 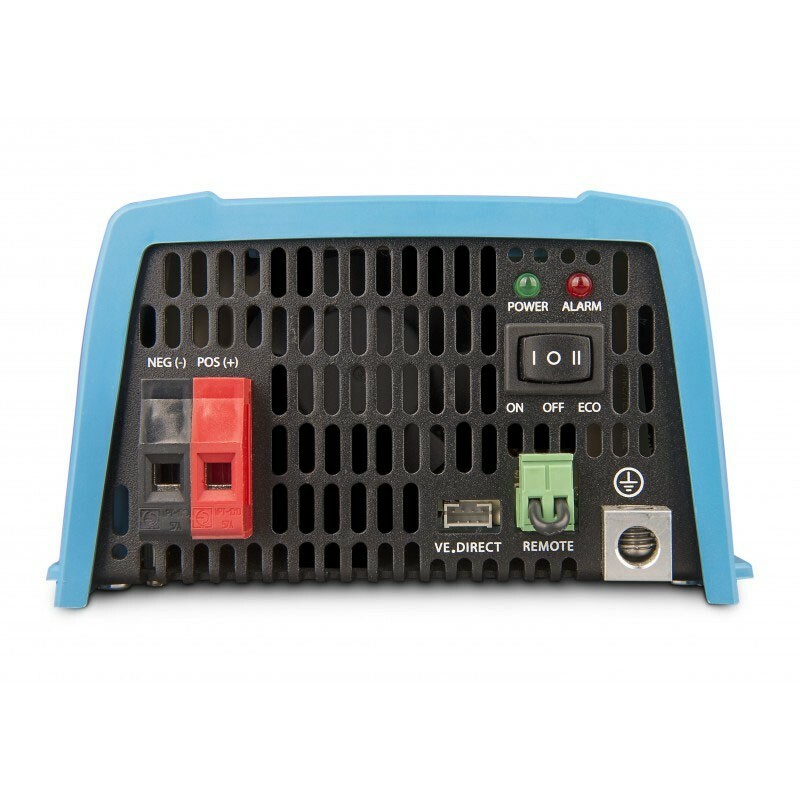 This allows to use on board a ship, in an ambulance, a service vehicle or in remote areas, equipment requiring a 230V power supply. These converters are characterized by pure sinusoidal output voltage, high peak power and high efficiency. Hybrid HF technology has made it possible to combine specific features and possibilities with light weight and reduced bulk. Developed for professional use, the range of Phoenix converters is perfectly adapted to the most diverse applications. These pure and high efficiency sinusoidal converters are designed without compromising performance. Hybrid HF technology provides exceptional features for compact dimensions, reduced weight, and complete compatibility regardless of the equipment being powered. SinusMax technology allows very high instantaneous power, impossible to achieve with conventional high frequency technology. Phoenix converters, however, remain well-suited for powering devices that require precise inrush current at startup, such as computers and low-power power tools. For our low power models, we recommend the use of our Filax automatic switch. The Filax has a very fast transfer time (less than 20 milliseconds) so that computers and other electronic equipment can continue to operate without interruption. A connector for a remote on-off switch is available on all models.